We grow up thinking and believing that the world and reality in which we exist in is something tangible and physical and is just as is perceived. However, not only does this thought-process become disillusioned with various difficult-to-explain phenomena, but perceptions becomes realized as completely subjective that do not reflect an objective reality, if such a reality even exists. With the significant advances in the knowledge and information attained by the human race in its most recent history, radical shifts in how reality is perceived are being formulated. Where the universe was once seen as an empty space with bits of matter scattered about is now being seen as a holographic projection stemming from some primary reality unseen to our biological and technological instruments. The evidence for a holographic reality is becoming quite plentiful; too much to be disregarded. 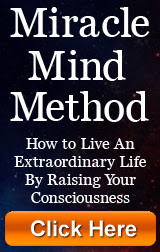 What gives it more credence is that those who have experienced higher states of consciousness and echelons of reality via meditation, astral projection, or entheogens have been proclaiming very holographic-esque musings and aphorisms. To give just one example, there was the research done in 1982 in the University of Paris which discovered that under certain circumstances subatomic particles such as electrons are able to instantaneously communicate with each other regardless of the distance separating them. It did not matter whether they were 10 feet or 10 billion miles apart. Somehow each particle always seemed to know what the other was doing. The great physicist David Bohm believed that these findings imply that objective reality does not exist, that despite its apparent solidity the universe is at heart a phantasm, a gigantic and splendidly detailed hologram. Within a hologram, the whole is within the part. No matter how many times you divide the whole, the part will always contain it’s totality. Just as higher consciousness realizations show that each part, as seemingly small or separate it is from total reality and the Source of reality itself, contains that very Source and v.v. The deduction from the holographic experiments conclude that autonomy and separateness are an illusion and that all is one. Oneness is a concept found in seemingly every major belief system ever manifested within the realm of human consciousness, so it only emboldens recent discoveries pertaining to our manifested reality. If this indeed is the case, (and enough evidence shows that it is) then the universe is itself a projection, a hologram. If the apparent separateness of subatomic particles is illusory, it means that at a deeper level of reality all things in the universe are infinitely interconnected. The electrons in a carbon atom in the human brain are connected to the subatomic particles that comprise every salmon that swims, every heart that beats, and every star that shimmers in the sky. Oneness prevails. In a holographic universe, even time and space could no longer be viewed as fundamentals. Because concepts such as location break down in a universe in which nothing is truly separate from anything else, time and three-dimensional space, like the images of the fish on the TV monitors, would also have to be viewed as projections of this deeper order. At its deeper level reality is a sort of super-hologram in which the past, present, and future all exist simultaneously. The three-dimensional universe we live in is the hologram created out of a primary reality that is outside space and time so it is a copy of something “real” so it would make sense in such a case that our real self is in another reality. Our consciousness is the real us. Consciousness is everything and therefore it is nothing, since all that is, is consciousness. A holographic universe explains nearly all paranormal and mystical experiences. Near Death Experiences can be explained by a holographic universe, in that death is a shifting of a person’s consciousness from one level of the hologram of reality to another. Current neurophysiological models of the brain are inadequate and only a holographic model can explain such things as archetypal experiences, encounters with the collective unconscious, and other unusual phenomena experienced during altered states of consciousness. A holographic model for the universe explains lucid dreams, in which such dreams are visits to parallel realities. Synchronicity can be explained by the holographic model. Our thought processes are much more intimately connected to the physical world than has been previously thought. Also note that synchronicity tends to peak just prior to a new realization or insight. Telepathy, precognition, mystical feelings of oneness with the universe, and even psychokinesis can be explained through the holographic model. Holography can explain how our brains can store so many memories in so little space (our brains can store 280,000,000,000,000,000,000 bits of information). Holography can also explain how we are able to recall and forget, how we are able to have associative memory, how we have the ability to recognize familiar things, how we have the ability for the transference of new skills, how we have the ability to construct a world “out there”, how we are able to have “phantom limb” sensations, and how we are able to have photographic memory. The brain itself, would therefore be a holographic projection created out of a primary reality outside of space and time. All relative realities are created by consciousness existing in relation to itself. We are that consciousness. We are that consciousness existing in relation to itself and interacting with itself.” There is nothing else. None of the things we perceive as separate have an independent existence, as all are in actuality relational extensions of the underlying unity of consciousness. Physical reality is a product of consciousness. Consciousness is not a product of physical reality. Physical reality does not interact with itself in some unknown fashion to cause consciousness to come into existence. Consciousness in the process of repeated and progressive self-relation becomes the awareness of experience, and thus creates physical reality. There are realizations concerning the nature of the universe being a holographic projection, through the experience of enlightenment. Once enlightenment is experienced, one can understand exactly how the holographic universe operates and is indeed, very real. There comes an understanding that we are multidimensional beings that exist simultaneously in many levels of quantum reality. There is no reason to get annoyed, angry, stressed, etc over the things that happen in one’s physical reality, which is the lowest dimension of our awareness, because it is all trivial in the grand scheme of things. Focusing on the specifics of reality may divert one’s self from discovering and realizing the reason he or she exists right now. This is why one of the steps to becoming enlightened is to replace fear and anger with wonder and curiosity. Have you experienced a shift in perception concerning reality yet? At the very least, hopefully you are able to now expand your mind to realms previously unvisited. Reality is a mysterious and exciting place. Let’s all be explorers of this enchanting life experience.